For anyone who cares about student social-emotional development, this is an exciting time. Many school-based social-emotional learning (SEL) programs are widely used, for example. And a growing number of states are integrating social-emotional expectations into their educational standards. When these programs are well-implemented, they have academic, social, and emotional benefits. Recognizing this, organizations are investing in initiatives and partnerships designed to bring school-based SEL programs to scale. Up until recently, something has been missing. 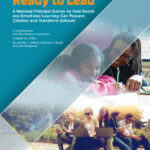 Specifically, there have been few useful tools with which to assess SEL. This has left educators at a distinct disadvantage. Without good assessment, it’s hard for district decision-makers to decide what resources to invest in; it’s hard for teachers to tailor instruction based on student strengths and needs; it’s hard to evaluate how students are doing in response to instruction; and it’s hard to engage in databased continuous improvement. In other words, it’s hard to chart a course without a compass. But that’s changing. 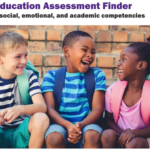 Funders and other organizations are focusing on how to bring practical social and emotional assessments to the field. Alongside this, a growing number of companies, including my own, are developing and marketing tech-based methods of assessing SEL. And so the problem is quickly shifting from what can we do with scarce assessment resources to how can we select the right assessment? That’s a nice problem to have, and it’s only going to get worse (better?). Here are some ideas about how to grapple productively with the problem of plenty. A key question is why assess student SEL? It’s really important to get this right because each SEL assessment is valid for some purposes but not others. Common purposes include formative assessment, program evaluation, progress monitoring, summative assessment, diagnosis, screening, continuous improvement and high-stakes accountability. A clear goal lays the groundwork for selecting an assessment that is valid for achieving your specific purpose—increasing the odds it will be helpful and reducing the odds of unintended negative consequences. The next question is what, exactly, to assess. This is important because SEL means different things to different people—but most agree that SEL includes many parts. One useful way to sort through the many things that are included in SEL is to break it down into thinking skills (like the ability to understand another person’s intentions), behavioral skills (like the ability to enter an ongoing conversation or play activity), and beliefs and attitudes (like self-efficacy or growth mindsets). Self-control has elements of thinking, doing, and self-beliefs. It will be helpful for anyone wanting to assess (and address) student SEL to start with a broad framework, like the CASEL model, and identify the thinking skills, behavioral skills, beliefs, and self-control skills that are highest priority for your setting and students. Clarity about why and what to assess is particularly helpful when figuring out how to assess it. Each assessment strategy has a sweet spot for what it can assess and what assessment goal it can achieve. Direct assessments, in which children demonstrate their skills by solving challenging social-emotional tasks, are particularly well-suited to assessing thinking skills. Rating scales, in which teachers rate the frequency with which a student displays a range of behaviors, are well-suited to assessing behavioral skills. Self-report questionnaires, in which students rate the relevance of statements to themselves, are well-suited to assessing attitudes and student beliefs about their skills. Structured observational systems, in which teachers count specific behaviors during particular activities, are well-suited to assessing behavior. My read of the state of the art is that existing social-emotional assessments are appropriate for formative assessment, program evaluation, and continuous improvement efforts, but not for high-stakes purposes. Assessment providers should be able to describe appropriate uses of their assessments and offer supporting evidence. Be confident that the assessment you are investigating can do what you want it to do. Okay, you know why you want to assess SEL and you know what you want to assess. Your key stakeholders also understand the what and the why. 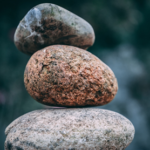 You’ve found an assessment solution that will measure what you care about and has the technical properties to achieve your assessment goals. You assess students and gather a lot of data. Directive materials are useful. For example, some assessment providers offer banks of lesson plans and other resources to help educators identify actions they can take based on what they’ve learned from assessments. In addition, many schools that adopt an SEL assessment have also adopted an SEL program. Assuming the SEL assessment measures what the program teaches, it is natural to use assessment findings to decide what curricular units to focus on. Strong data review processes are even better. An assessment report that no one looks at won’t help anyone. SEL assessments benefit teaching and learning when they are integrated into the review and reflection of student assessment data. In this context, SEL assessment findings can serve as the basis for developing hypotheses about what is going on with students. Instructional planning becomes the time to design experiments that test those hypotheses. Educators who care about and are working towards supporting children’s positive social-emotional development should take heart. As they chart a course, there is a compass to guide the way. This blog originially appeared on EdSurge on June 12, 2018 (https://www.edsurge.com/news/2018-06-12-everything-you-always-wanted-to-know-about-sel-assessment-but-were-afraid-to-ask).